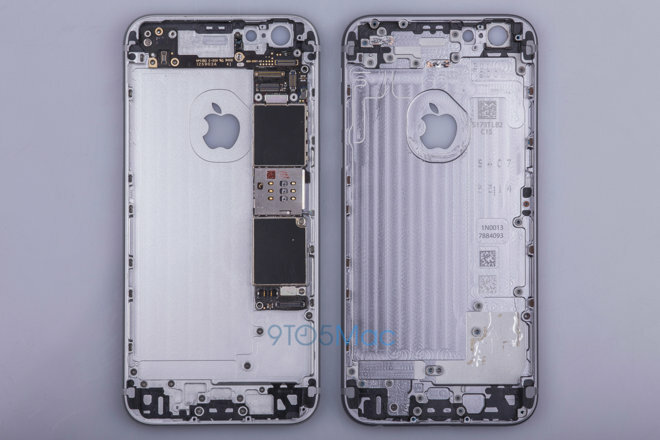 Late-week reports from the Asian supply chain continue to suggest that Apple's next-generation iPhone has begun to roll off of assembly lines, with some indications that the forthcoming device will sport a nearly identical outward appearance with slightly tweaked internals. Primary Apple contract manufacturers Foxconn and Pegatron have begun receiving shipments of components for the so-called "iPhone 6s" from suppliers and sub-assemblers, according to Digitimes. The publication believes that Apple will begin selling the new iPhone in September, and could move up to 50 million of them before the end of this year. To cope with what is expected to be record demand for Apple's latest handset, many suppliers are rumored to have beefed up manufacturing capabilities at Apple's request. Relatively little is known about the "iPhone 6s," but it is will likely bear an upgraded A-series processor and could ship with 2 gigabytes of RAM after being stuck at 1 gigabyte for 3 generations. A camera update is also a possibility, as is the addition of pressure-sensing Force Touch capabilities. Apple could also move to an updated NXP-sourced NFC chip, photos sourced by 9to5Mac suggest, as well as a new Qualcomm modem that would enable faster LTE connections. Externally, the phone is expected to maintain the same industrial design as the iPhone 6, but might add a new rose gold color option.